KANYE West spent Thanksgiving in hospital. The 39-year-old rapper was admitted to UCLA Medical Centre in Los Angeles on Monday (21.11.16) after suffering from "exhaustion" and "sleep deprivation", and although his family were hoping to he would be back on his feet in time for the annual American holiday, reports suggest he was not released. The 'Famous' rapper - who has two children, three-year-old daughter North and 11-month-old son Saint - had to spend most of Thanksgiving alone as he doesn't want to tell his children about his condition. A source said previously: "North and Saint [West] just think their dad is away now. Kanye wants to get better, so that's a big part in this healing process. "Kanye is trying to get better, but he has not been released yet because he and the doctors feel he needs more time to recover. "Kim is by his side now and will stand there till everything gets better." The 'Gold Digger' rapper wasn't alone for the entire day though, as 36-year-old Kim reportedly dropped by for "several hours" in the morning before heading off to her half-sister Kylie Jenner's house to enjoy a Thanksgiving meal with her family. 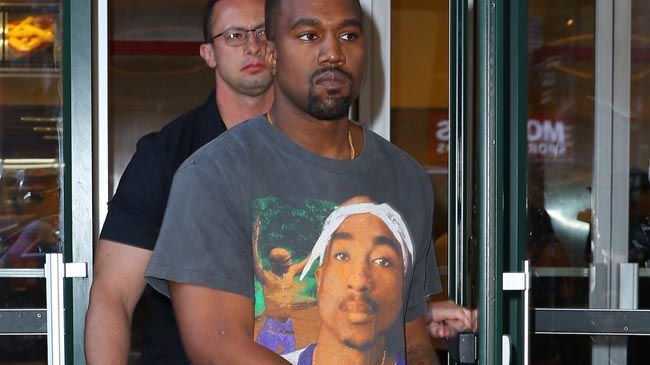 Meanwhile Kanye - who was forced to cancel the 21 remaining dates of his 'Saint Pablo Tour' in favour of receiving hospital treatment - has been "starting to feel more like himself", and is thought to be well on the way to recovery. Another source said: "[Kanye's] starting to feel more like himself. "He understands that getting help at the hospital was necessary. He is resting and getting help. They are taking it day by day."